This image (known as a Faravahar) is one of the most common symbols of the Zoroastrian religion. Once frequently used on Persian royal inscriptions as a sign of divine authority, it has come to represent the human soul (or guardian angel) and is still used in "modern" Zoroastrianism. Zoroastrianism (or Mazdaism) refers to the religion developed from the teachings of the Persian prophet Zarathushtra (c. tenth century B.C.E. ), who is commonly known in the West as Zoroaster. Zoroastrians most commonly refer to themselves as Zartoshti ("Zoroastrians"), Mazdayasni ("Wisdom-Worshippers"), and Behdini ("Followers of the Good Religion"). In India, they are known as Parsis ("People from Pars," which refers to the Persian heritage of the group). Due to its great antiquity, Zoroastrianism was tremendously influential on the history, culture, and art of Persia, as well as on the development of the Abrahamic religions. According to scholars, Zoroastrianism was the first religion to believe in angels, a day of judgment, a Satan figure, and an ongoing battle between forces of light and darkness in the cosmos. These ideas later influenced the theological development of Judaism (and, by extension, Christianity and Islam). The tendency of the Abrahamic traditions to use of light as a symbol of goodness may be partially derived from Zoroastrian rituals associated with reverence for fire and purity. Likewise, the concept of the Halo, still commonly associated with saints and holy figures in art today, first originated in Zoroastrianism. However, the Zoroastrians most explicitly recognized in the Western world are the Magi, whose visit to the infant Jesus is described in the Christian New Testament. At one time, Zoroastrianism was the most powerful religion in the world; today it is on the decline, at least partially due to its insistence on intermarriage within its shrinking number of followers. Populations of Zoroastrians live in India, Iran and other Middle Eastern countries. Relatively little is known about the Prophet Zarathushtra (Zoroaster). According to internal and external histories, Zarathushtra lived in Persia sometime between the eighteenth and the sixth centuries B.C.E., with the consensus of scholars placing him roughly around 1000 B.C.E. This I ask Thee, tell me truly, Ahura [God]. Who upholds the earth beneath and the firmament from falling? Who the waters and the plants? Who yoked swiftness to winds and clouds? Who is, O Mazda [God], creator of Good Thought? This I ask Thee, tell me truly, Ahura. What artist made light and darkness? What artist made sleep and waking? Who made morning, noon, and night, that call the understanding man to his duty? After seven years in the cave, Zarathushtra concluded he had accomplished complete devotion to God (Ahura Mazda) and felt the time was ripe to teach the masses about his own understanding of God. At this point, the role of Zarathushtra as a prophet began. However, Zarathushtra's first attempt at reaching the masses was not successful, and his teachings were highly ridiculed. Eventually, even his family and servants distanced themselves from him, and it is said that evil powers plotted to silence him. By order of King Vishtaspa, he was eventually placed in a prison, although through his faith he was able to miraculously escape. After fleeing the prison, he cured the horse of King Vishtaspa, which convinced the monarch to convert to Zoroastrianism along with his wife and caused many in the kingdom to follow suit. The circumstances of Zoroaster's death are unknown for the original biographical texts have been lost. As accounts of religious life in ancient Persia are limited and conflicting, it is difficult to describe ancient Zoroastrianism in detail. However, it is clear that the original teachings of Zarathushtra were modified significantly by the prophet's disciples, which eventually lead to an acceptance of the very polytheism and ritualism that Zarathushtra had originally opposed. The Avesta, the primary collection of sacred texts of Zoroastrianism, illustrates the fact that post-Zarathushtra Zoroastrianism incorporated older beliefs and traditions from earlier Iranian religions, while simultaneously synthesizing the new ideas Zarathrustra developed in the Gathas. Some of these "archaic survivals" (to use the term of the English anthropologist E.B. Tylor) include such elements as animal sacrifice and the ritual of haoma, which was introduced by Avestan priests and the western priestly tribe known as the Magi. It was at this point in their history (between the eighth and early seventh centuries B.C.E.) that the Zoroastrian pantheon was more definitively codified, especially concerning their good and evil deities. Most of the violent and aggressive elements of Indo-Aryan tradition were done away with or else relegated to the class of daivas (evil spirits). In this way, the Zoroastrian Persians clearly parted ways from their Indic bretheren, as the new cosmology portrayed the classic Indo-Iranian gods and rituals as evil and demonic. The itinerant western priests (the Magi) ensured the transmission of Zoroaster's teachings (and their Avestan modifications) during the Achaemenid Empire (559–330 B.C.E.). Further, their travels through this largely peaceful kingdom provided an opportunity for Zoroastrian beliefs to enter dialogue with other Near Eastern traditions. During this period, the Zoroastrian tendency to synthesize deities and ceremonies continued, which created some eclecticism within the tradition. However, this eclecticism proved to be necessary, as it created a pliability within the official religion of the Achaemenid Empire, allowing it to accommodate the varied religio-cultural systems within its control. At this time, the original formulation of Zoroaster was modified by the Magi. While Ahura Mazda reigned supreme in Zoroaster's original, monotheistic type of formulation, the Magi no longer considered Ahura Mazda to be the sole transcendent principle, now bringing in polytheistic elements. This variation also led to the formation of the cult of Zurvanism perhaps during the second half of the Achaemenian period, an absolute dualism that regarded Angra Mainyu ("Evil Spirit") as an uncreated, eternal cosmological power in opposition to Ahura Mazda. Of course, Zoroaster had his own version of relative dualism, by speaking of "the two primal Spirits" under Ahura Mazda as "the Better and the Bad, in thought and word and action;" but, according to the Zurvanist reinterpretaion, the two primal Spirits are Ahura Mazda and Angra Mainyu as the two sons of the time-god Zurvan in opposition to each other from eternity. During the Seleucian period (330–150 B.C.E. ), many Zoroastrian ideas began to spread outside the Iranian world (namely among Judeo-Christians and Buddhists). Also, the Seleucian era was characterized by the great influence Greek culture bore upon the Zoroastrian tradition. In the subsequent period, under the Parthians (150 B.C.E.–226 C.E.) these influences were rejected, largely due to resentment over the break in the tradition that occured when Alexander the Great overtook the Achaemenid Empire in 330 B.C.E. According to later traditions, many Zoroastrian sacred texts were lost in this invasion. It was also during the Parthian period that Mithraism, a Zoroastrian-derived faith focused on the Aryan god of the sun, Mitra, began to become popular within the Roman Empire. During the reign of the Sassanid Empire (226–651 C.E. ), the Zoroastrian tradition was reorganized and reformulated, as priests codified and canonized various aspects of the tradition that had survived the breaks caused by the Hellenistic influences. During this period, Zoroastrianism became less universalistic and more localized within Iran, justifying the position of the crown, clergy, and warriors at the top of the state hierarchy (Many scholars consider this strict hierarchization of society to be a remnant of the caste system, which the Zoroastrian Persians inherited from the Aryan predecessors. ), and also maintaining nationalistic sentiment among the entirety of the Iranian people. A number of Zoroastrian mythological figures and dynasties became implicated in worldly progress toward frashokereti (an eschatological cleansing), mostly because of their place in Iranian history rather than their religious significance. Zoroastrians aggressively promoted their religion, often building new temples immediately upon capturing Roman territory. During the Sassanian period, the Zurvanist cult of absolute dualism enjoyed adherence from the kings, and the prophet Mani (c.216-274 C.E.) combined this Zurvanist dualism with Christianity to form Manichaeism. But, when the monotheistic religion of Islam arose, Zurvanism dramatically declined and the Zoroastrians returned to the pre-Zurvanist and original beliefs of Zoroaster. In 637 the Sassanid Dynasty was conquered by Muslim Arabs. Zoroastrianism, which was once the dominant religion in a region stretching from Anatolia to the Persian Gulf and Central Asia, did not have a powerful champion (as did Christianity in the Byzantine Empire), so it steadily lost influence and adherents in Iran under Islamic persecution. However, even after Arab conquest, Zoroastrianism maintained its nationalistic ideology. Surviving Zoroastrian communities looked back upon Iran's imperial era with a certain measure of sentimentality. This led to a number of attempted revolts against their Muslim overlords, which consistently failed and caused Muslims to vehemently repress those who upheld Zoroastrian beliefs. Further, Muslims were also suspicious of the significance of fire within Zoroastrian religion, as they considered it a form of idolatry. 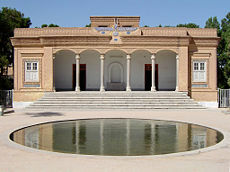 As a result, many Zoroastrians were prohibited from practicing their religion and were forced to convert to Islam. Faced with such adversity, Zoroastrians fled to India in large numbers in the tenth century, where they would come to be known as Parsis. Here they were offered refuge by Jadav Rana, a Hindu king of Sanjan (the modern-day state of Gujarat) on condition that they abstain from missionary activities and marry only in their community. This was readily accepted by the Parsi people, who were already wary of proselytization, through their encounter with Islam. In India, the Parsis have come to be seen as something of a caste in themselves, since membership in the group is linked to lineage. As a result, Parsis have not only been able to survive, but they have also thrived when compared to their Iranian counterparts, wielding much social, political, and economic influence in India throughout history (and even in modern times, due to their favored position under the British). Furthermore, Parsi communities in India have been in continual dialogue with other religious traditions such as Hinduism, Islam and Christianity, as well as other movements such as spiritualism and astrology, which has led to numerous interpretations of Zoroastrian doctrine by the Parsi people. Other Parsis have maintained a more conservative approach to the ancient Zoroastrian traditions. The tolerant religious climate of India has even led some Hindus to syncretize elements of Parsi religion into their religion. The first time Indian and Iranian Zoroastrians resumed communication was in the late sixteenth century, in which through the exchange of texts (rivayat) they speculated upon numerous doctrinal and liturgical questions. These exchanges prompted new understandings of the tradition in both estranged branches. The holy book of Zoroastrianism is called the Avesta. 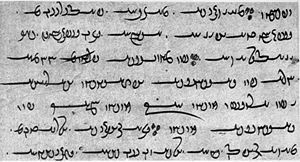 It, like many religious texts, was originally composed orally and was learned from memory for centuries until it was finally transcribed in Sassanian times. The Avesta is divided into numerous sections, including the Yasna, the Yashts, the Vendidad, and the Visparad, although these divisions are themselves subject to debate. The Yasna concerns acts of worship and contains the Gathas (the Hymns), the only texts that are definitively attributed to the Prophet Zarathushtra himself. These hymns express the ambivalent emotions of the prophet, which oscillate between anguish and joy. In this section, Zarathushtra expresses discontent with the "unseemly lechery" of Iranian ritualism, causing him to postulate numerous original religious concepts as alternatives. However, in formulating his religious system, he still included aspects of these preexisting religious beliefs and practices, and did not call for their complete supplantation. His original sayings are extended and deepened through the (often hymnal) commentary found in the remainder of the Yasna. In all, this text (and the doctrinal positions it propounds) represents the focal point of the liturgical rituals practiced by Zoroastrian priests. Also contained in the Avesta are the Yashts, a collection of hymns dedicated to the worship of various deities, and the Vendidad, a ritual code for dealing with malevolent deities. The Visparad, a supplement to the Yasna, contains hymns and instructions for liturgical ceremonies (including exorcisms) and also includes cosmological, historical and eschatological material. Finally, the Avesta also contains fragments of numerous other texts, which are made up of both religious literature and works on medicine, astronomy, botany and philosophy. Another significant group of Zoroastrian texts are the Pahlavi books, which originated in ninth century C.E. Persia. Like the Avesta, the Pahlavi books are also comprised of numerous writings. Most notable are the Zand, which provides an interpretation of and commentary upon the Avestan texts; the Bundahishn, which explains such matters as the creation, composition and destruction of the physical world; and the Shkand-gumanig Wizar, which critiques the Islamic, Judaic, Christian, and Manichaean religious traditions that would have been prevalent in the surrounding geographic region. The Prophet Zarathushtra sets his teachings apart from contemporary Iranian traditions by advocating strict monotheism, insisting that worship be dedicated solely to Ahura Mazda ("Wise Lord"). In the Gathas, Ahura Mazda is described as the creator of everything that can and cannot be seen, representing all that is eternal and pure. Ahura Mazda serves as the keeper of asha (meaning "truth," "order," "righteousness," or "holiness"), maintaining a position similar to that of the Vedic god Varuna, who maintains the rta (moral order). It is significant that in the Gathas, Zarathushtra does not even mention Angra Mainyu ("Evil Spirit"). He only speaks of the enemy of the divine order as "the Lie," an abstract concept that is impersonal. 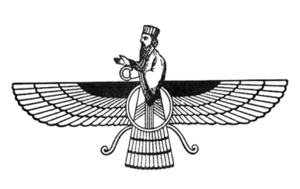 Although the supremacy of Ahura Mazda suggests a monotheistic worldview, later Zoroastrianism, seen in the Yashts considered to date to the Achaemenid era, includes also some polytheistic elements. Most notably, their cosmology is extended to include several other personalized deities, including two Mainyus and demonic creatures called daivas, all of which are thought to exist beneath Ahura Mazda. Spenta Mainyu ("Holy Spirit") and Angra Mainyu ("Evil Spirit") are described as the progeny of the supreme Ahura Mazda, which accounts for the existence of good and evil in the physical world. Spenta Mainyu is thought to be hypostatically indistinguishable from Ahura Mazda and is conceived of as an augmenting force for the latter's power, one which aids in the continual cosmic creative process and leads toward the eventual purification of the world. Conversely, Angra Mainyu is the antithesis of Spenta Mainyu, and continually attempts to undermine humanity's understanding of truth. The Mainyus are engaged in a constant battle, although the power of Ahura Mazda will ultimately allow the Holy Spirit to triumph. The daivas, meanwhile, are demonic beings whose sole purpose is to corrupt the moral law: as they were created, the Evil Spirit compelled them and they "rushed together to Violence, that they might enfeeble the world of men." Later Zoroastrian thought also postulates the existence of angelic beings called Amesha Spentas, who are seen as emanations of Ahura Mazda. While the Wise Lord is seen to dwell within each of these beings, they all retain their own individual natures and lives. Each of them is believed to be a personified attribute of Ahura Mazda, although modern scholars of religion theorize that they may be reconceptualizations of pre-Zoroastrian deities. These Amesha Spentas are known as Vohu Manah ("Good Mind"), Asha Vahistah ("Truth"), Khshatra Vairya ("Good Dominion"), Spenta Armaiti ("Devotion"), Haurvatat ("Wholeness and Health"), and Ameretat ("Immortality"). These beings, through their characterizations, suggest the qualities one must cultivate if they wish to best enjoy the fruits of salvation. Additionally, the notion of Sraosha, already mentioned as a "lord of prayer" in the Gathas, is further developed in later Zoroastrian tradition, where he is seen as a protector of humanity against the malevolent forces of death, and as a judge of the souls of the departed. Later Zoroastrianism also introduced numerous other divine or superhuman beings, usually old deities from the Indo-Aryan pantheon, which became yazatas ("ones worthy of worship"). These later deities include Arevadi Sure Anahita (a goddess corresponding to the Hindu Sarasvati), Hvare Khshaeta (god of the sun), Mah (god of the moon), Mithra (who works with Sraosha to judge souls after their deaths), and numerous fravashis (spirits of dead souls who are deemed worthy of worship). In all cases, Ahura Mazda was and is viewed as having supremacy over all other gods. Thus, post-Gathic Zoroastrianism, perhaps with the exception of the absolute dualism of Zurvanism, can be labeled as a form of henotheism or monarchic monotheism. Because of its emphasis on the persistent conflict between the forces of good and evil, Zoroastrianism is distinguished from monotheistic frameworks that recognize only one power as supreme. So, Zoroastrianism is not theologically content with accepting the monotheistic idea that the evil forces in the universe are simply another aspect of the supreme being's creations. Mardanfarrokh, a Zoroastrian theologian in the ninth century C.E., noted that if evil were to come from God along with everything else, his perfection would be mitigated. According to Mardanfarrokh, therefore, only human choice can determine the intensity of evil within the world, a teaching which removes responsibility for evil from Ahura Mazda and renders the system dualistic. Good and evil, rather than deriving from the same source in Ahura Mazda, are separated on the grounds of moral choice, an idea which has lead scholars to refer to Zoroastrianism as "ethical dualism," in that all decisions made by human beings follow either the good path of the Wise Lord or the evil path of Angra Mainyu. The nature of the two opposing spirits of good and evil results from the choice they made between asha ("truth") and druj ("lie"). Spenta Mainyu chose asha, and Angra Mainyu chose druj, and now each human must choose one of these paths for themselves. No force in the Heavens and Earth has the power to force a person to do evil, and the rewards, punishments, happiness, and grief an individual receive depends on how he or she lives his or her life. As the aggregate of human decisions steers humanity away from evil, the Ahuric creation is enhanced and the world as we know it, replete with evil, will dissolve away. Thus, Zoroastrian dualism affirms the freedom and importance of human choice in the metaphysic structure of the universe. Zoroastrian cosmology is also dualistic. Everything in existence has a dual nature, comprised of a spiritual aspect, called menog, and the material aspect, called getig, where the spiritual state is the ontological precedent of material existence. Pahlavi literature suggests that only evil spirits are capable of transmuting the menog to the getig. In this way, material existence is considered to be inherently contaminated by the circumstances of its creation. However, this system avoids falling into spiritual pessimism because of its faith that the world of spirit will ultimately triumph. This eschatological endpoint, however, can only come about through a process of evolution: As the balance between good and evil evolves on an individual scale within humans, it also progresses on a cosmic scale. The choice of good urges creation towards its renewal, where humanity and the physical world will be fully perfected by menog, an event referred to as frashokereti. The eschaton itself will be marked by fire, which is considered to be the offspring of Ahura Mazda and the paramount instrument of asha. (The energy of the creator is represented in Zoroastrianism by fire and also by the sun, since both are enduring, radiant, pure and life-sustaining.) A river of molten lava will separate good people from the evil. In the Gathas, Zarathuhtra claims that the order of creation will be refurbished at the end of time when the Saoshyant (a messianic savior or "bringer of benefit") returns to the physical world. All those who are on the "good" side of the lava river will benefit from the Saoshyant's return. This lays the foundation for later Zoroastrian eschatology, as well as the foundation for savior archetypes in other messianic traditions such as Judaism and Christianity. It should be noted that alternate legends of the endtimes exist in the Zoroastrian tradition, including one which states that there will actually be three saviors, Ukhshyatereta, Ukhshyatnemah, and Astvatereta, sons of Zoroaster who will appear at different times through history. Zoroastrian cosmology is also highly original in its speculations concerning the afterlife. It is written in the Avesta that the soul can ascend to heaven by proceeding through a three-step succession of celestial bodies that are linked to certain actions. Through good thoughts, they can attain the stars, through good words, they can attain the moon, and through good deeds, they can attain the sun. In order to undergo this journey, the soul must first cross the Chinvat bridge, or "the bridge of seperation." Souls judged to be just by Mithra or Sraosha are allowed to cross and meet their daena, an image of their own self, who is disguised as a nubile teenage girl. Evil souls, meanwhile, meet with their daena in the form of a haggardly old woman and then plummet to hell. An intermediate, limbo-like area (Hamistagan) also exists for those whose benevolent and malevolent acts in life are equally weighted. Zoroastrian morality is summed up in a simple phrase: "good thoughts, good words, good deeds." Following this phrase, one can become an ashavan, or a follower of asha. Asha is an idea put forth by Zoroaster that is understood as "truth," "order," "righteousness," or "holiness." (The concept of asha is comparable to the Vedic idea of rta, which would later develop into the prevalent notion of dharma). This asha is emanated by Ahura Mazda, which can then be cultivated through loving devotion to the Wise Lord. As their eschatological schema stresses the freedom to choose right from wrong, the tradition describes five tools that Ahura Mazda provided in order to assist the human decision-making process. They are Good Mind, Desire, Conscience, Insight, and Wisdom. Good Mind refers to the application of our mind's abilities (cultivated through the teachings of Zarathushtra) to the task of choosing what is good and right. The second faculty, Desire, extends this idea, referring to the conscious yearning to receive truth of Zarathushtra's message and become an ashavan. Cultivation of this faculty sets in motion the process of discerning good from evil. The third faculty, Conscience, enables human beings to accept or reject the revelation of Ahura Mazda, and also to work with the Wise Lord in order to initiate frashokereti. Closely related is Insight, the divine inspiration granted by Ahura Mazda to all those who choose to seek the truth as ashavans. Finally, Wisdom is the highest faculty. It involves a completely perfect understanding of the cosmos, on that is parallel with that of Ahura Mazda. The relationship between these five faculties corresponds to the sequence of cosmological creation, beginning with intellectual activity of the physical mind and culminating in a post-apocalyptic, one-pointed unification of physicality and materiality. Prayer has always been fundamental to the Zoroastrian faith. The Ahuna Vairya (also known as Ahunavar, and in Middle Persian, as Ahunwar), a prayer attributed to Zoroaster himself, venerates both the oneness and supremacy of Ahura Mazda and the importance of moral choice, making it one of the most important in the tradition. It is the first prayer that young or initiate Zoroastrians learn and has actually been described as having talismanic powers, thus making it useful for warding off evil spirits. The Ashem Vohu, another hymn thought to be authored by Zarathushtra, is also of great importance, as it provides a short meditation upon the concept of asha. The hymn asserts that "Holiness (Asha) is the best of all good," allowing it to harmonize effectively with the Ahuna Vairya. Closely related to these two prayers is the Yenhe Hatam, which, while not attributed to Zarathushtra, still has immense prescriptive value for the Zoroastrian ritual. The prayer suggests that all beings of pure menog are worthy of worship, along with those who reach getig, since both types of beings are true ashavans. In addition to these prayers, incantations (in the form of mantras) are also frequently used to address Ahura Mazda, as they are considered to endow their reciter with magical powers. In modern times, dedicated Zoroastrians divide their days into five prayer periods, marking the importance of prayer in the tradition. Zoroastrianism, despite its initial effort to avoid ritualism, eventually incorporated many of the practices that its founder had critiqued. Some of these practices will be briefly explored below. The paramount Zoroastrian liturgy, called Yasna, involves the sacrifice of a beverage called haoma in front of a fire. Like the Vedic beverage soma, Iranian haoma allows one temporary immortality through intoxication. The sacrifice of the haoma can only be performed during a sunrise, which represents asha's power to dispell darkness and evil. Fire is the object of the priest's address during the Yasna ceremony, which typically honors a specified deity, although praise is directed to all menog beings during the course of the ceremony. The Yasna serves the purpose of purifying the world by bridging the gap between menog and getig worlds, so that they might come into union, thus keeping alive the possibility of frashokereti. Naojot, the Zoroastrian initiation rite, involves a child between seven and fifteen who has been judged as able to accept the responsiblities of Zoroastrian life. After a purifying ritual bath (Nahn), the child is given a thin, white shirt called a sadre and girded with a wool cord called a Kushti. The Kushti is wrapped around the body three times to remind the child of the three most important moral injunctions: Good thoughts, good deeds, and good words. During the ceremony, the child is asked to recite prayers from the Avesta, which they must study in preparation, and only after they have professed their faith will they be given their new clothing. The importance of this ceremony is reverberated throughout the rest of the Zoroastrian's life; five times a day, they will untie and retie the Kusti in order to remind them of their faith. Bareshnum i-no Shab is a fastidious purification rite that must be undertaken before an adherant can become either a Zoroastrian priest or a corpse-bearer. The ritual is extremely elaborate, consisting of three ceremonial baths and numerous ritual offerings over the course of a nine-night retreat. Throughout the retreat, the candidate spends time meditating and reciting prayers. Any candidate underoges this ritual twice before his first ordination, which allows him to perform lesser ceremonies (Navar) and once before the second ordination, which allows him to perform higher, inner ceremonies (Martah). At one point, Bareshnum i-no Shab was necessary of all Zoroastrians, and, even now, most devout Zoroastrians undergo the rite at least once in their lifetimes. Zohr i atash refers to the primary Zoroastrian funerary rites. After a corpse has been washed and dressed, it is taken by corpse bearers to the dahkma ("Tower of Silence"), a massive, circular funerary tower on elevated ground. Here, dead bodies are exposed to the sun and flesh-eating birds, which strip them of their flesh. It is here that the Zohr i atash proper occurs, involving the pouring of animal fat upon a fire, representing the ancient animal sacrifices that were used to appease Druj i Nasu, the corpse demon. Further, this ritual is seen to assist the soul on its heavenly journey, which begins on the fourth days after death. After this ceremony, the corpse is thrown into a well and covered with lime and phosphorus. As could be expected, these observances are particularly difficult to follow for Zoroastrians who live outside the India and Iran. Zoroastrians follow a solar calendar, consisting of 12 months of thirty days each. Each of the 30 days in a month are used for the acknowledgment of a particular deity, and in addition, twelve of these deities also have their own months dedicated to them. This 360-day year is rounded out with an additional five days, called Gatha Days, where people remember their beloved friends and relatives. Zoroastrians celebrate the days of Zarathushtra's birth and death and also the six Ghambars, special days of obligation in honor of the seasons. Another key event is the feast of "all souls" called Hamaspathmaedaya, where offerings of sandalwood and flowers are made to deceased family members. Finally, the New Year's celebration (Navroze) is of particular significance to Zoroastrians. They celebrate it by reciting the entirety of the Gathas and by honoring the departed. Today, small but thriving Zoroastrian communities can be found in India, Pakistan, Iran, and Afghanistan, and throughout a worldwide diaspora. Until 2002, the worldwide population figures for Zoroastrians had been estimated at anywhere between 180,000 and 250,000. Recent publications, however, suggest a worldwide population of 2 to 3.5 million. Zoroastrians in Iran have, like other religious minorities, survived centuries of persecution at the hands of the nation's theocratic Muslim rulers. Despite this persecution, communities exist in the territories of Tehran, Yazd, and Kerman. There is a growing interest in the ancient Zoroastrian heritage among Iranians and other Central Asian peoples, and many individuals in these countries now consider themselves Zoroastrians. Since the terrorist attacks of September 11, 2001 and subsequent U.S.-led intervention in the Middle East, Zoroastrians of Iraq and Afghanistan have been the victim of less persecution than before, and have also been less reticent about identifying themselves as Zoroastrian. In contrast, the Parsis in India have enjoyed a climate of relative tolerance. While their communities are socioeconomically diverse, Parsis have gained a general reputation for their education and widespread influence in all aspects of Indian society. In another contrast to Iranian Zoroastrianism, the Indian Parsis are reducing in number because of their requirement of endogamous marriage. Finally, small but growing Zoroastrian communities can be found in major metropolitan areas around the world. The major Zoroastrian concepts highlighted in modernity promote a strong sense of social justice, since their beliefs inveigh against all forms of oppression and coercion. Also, as laziness and sloth are frowned upon, Zoroastrians work hard at promoting charity within their communities. Charity is regarded as a good deed, leading many Zoroastrians to part with a small percentage of their income or possessions in order to help the destitute. Further, Zoroastrianism affirms the equality of all humans regardless of race or religion. This includes men and women, who are considered to be entirely equal in society. Alhough their tradition, like many others, historically denied many rights to women, modern Zoroastrianism has hearkened back to the original egalitarian message of Zarashtushtra's revelation. Since the arrival of Western educational influences in the nineteenth century, both Parsi and Iranian Zoroastrian communities have seen women assert themselves in the intellectual sphere. Currently, more women are entering the liturgical and scholarly traditions of Zoroastrianism that were formerly seen as the exclusive province of men. The creation of a just society also extends to the ecological sphere, due to the immense importance placed upon nature in the practice of Zoroastrianism. Many important Zoroastrian festivals, including the Ghambars, honor the majesty of the natural world. Further, care for the planet is necessary for all who wish to become ashavans, and protecting the environment is seen as a precursor for the refurbishment of earth that will take place at frashokereti. Finally, modern Zoroastrian life is confronted by two related, highly contentious issues: exogamous marriage and the viability of missionary activity. In both cases, conservative schools argue that the only legitimate Zoroastrians are those that have been born into the tradition. However, the dwindling number of Zoroastrians is leading to a decrease in the enforcement of these rules, especially in the (metropolitan) diaspora. Conversion is also becoming more popular in the Western world, where in recent years Zoroastrianism has seen an influx of converts who have based their new beliefs solely upon the Gathas. The significance of Zoroastrianism cannot be underestimated, as it is the nexus of numerous concepts, including the concept of the conflict between the forces of good and evil, that have been foundational to many other religious traditions. Some scholars believe that the entire eschatology of Judaism originated in Zoroastrianism, being adopted during their captivity in Babylon. Further, Zoroastrian teachings could have provided a template for biblical figures who displaced henotheism with monotheism, since Zoroaster's writings may predate the monotheistic declarations of Abraham and Isaiah. Zoroastrianism has also been proposed as the source of many other important aspects of Judaic religious thought (all of which emerged after the Babylonian captivity), including the importance of rewards and punishments, the belief in a perfected future state, the soul's immortality, and a final judgment where the world is reordered. These concepts went on to have an immense influence on Christianity and Islam as well. Moreover, because Zoroastrianism is thought to have emerged from a common Indo-Iranian culture that preceded Vedic Hinduism, scholars also use evidence from Zoroastrian texts to reconstruct the Aryan tradition that characterizes the original Proto-Indo-European religion. The reverberations of Zarathushtra's concepts in the aforementioned faiths suggest Zoroastrianism's possible formative links to both Western Abrahamic and Eastern dharmic religious traditions. This possibility, in concert with modern Zoroastrian maxims that promote social and environmental justice, allows for the conclusion that Zoroastrianism has much to offer our understanding of both historical and contemporary humanity. It is useful to note that the absolute dualism of Zurvanism, although it was dead by the tenth century, was the Zoroastrian doctrine that became first and best known amongst European scholars through the writings of the Greek philosopher Plutarch (c.46-127 C.E. ), and that European scholars were therefore misled to conclude that Zoroastrianism was a faith of absolute dualism. ↑ Avesta, Avesta: Yasna 44.4-5. Retrieved Novemver 28, 2008. ↑ Avesta, Yasna 30.3. Retrieved November 28, 2008. ↑ Avesta, Yasna 29-32. Retrieved November 29, 2008. ↑ Avesta, Yasna 30.6. Retrieved November 28, 2008. ↑ Avesta, Yasna 33.14. Retrieved November 29, 2008. ↑ Avesta, Khorda Avesta. Retrieved November 29, 2008. ↑ Ashem Vohu, Avesta: Khorda Avesta. Retrieved November 29, 2008. Boyce, Mary. Textual Sources for the Study of Zoroastrianism. Chicago: University of Chicago Press, 1984. ISBN 0226069303. Boyce, Mary. Zoroastrians: Their Religious Beliefs and Practices. London: Routledge, 1979. ISBN 0710001215. Clark, Peter. Zoroastrianism: An Introduction to an Ancient Faith. Portland, OR: Sussex Academic Press, 1998. ISBN 1898723788. Eliade Mercia (ed.). "Zoroastrianism." Encyclopedia of Religion. New York: MacMillan Publishing, 1987. King, Charles William. The Gnostics and Their Remains. HardPress Publishing, 2013. ISBN 978-1313533867. Malandra, William W. An Introduction to Ancient Iranian Religion: Readings from the Avesta and Achaemenid Inscripitons. Minneapolis: University of Minnesota Press, 1983. ISBN 0816611149. Nigosian, S.A. The Zoroastrian Faith: Traditions & Modern Research. Montreal-Kingston: McGill-Queens University Press, 1993. ISBN 0773511334. Zaehner, Robert C. The Dawn and Twilight of Zoroastrianism. Phoenix Press, 2003. ISBN 1842121650. This page was last modified on 4 April 2016, at 20:27.